“Deep in a Dream.” Words by Eddie De Lange, music by Jimmy Van Heusen (1938). Recorded by Elsie Carlisle under the musical direction of George Scott-Wood at Studio 1, Abbey Road, London on February 1, 1939. HMV B.D. 663 mx. OEA7519-1. In “Deep in a Dream,” the singer depicts herself sitting in a dark room, smoking and getting drowsy as she remembers a lover who is now inaccessible — whether through distance, dissolution of the romance, or death, we do not really know. The lost lover’s descent on a smoke staircase (as described in the lyrics) might suggest a quirky sort of descent from heaven. At any rate, the genuinely dreamy music swells as the memories of happier times are revived (“Awake or asleep, every memory I’ll keep / Deep in a dream of you”). The reverie ends when the cigarette burns the singer’s fingers and wakes her. To my knowledge, while this is one of three Jimmy Van Heusen songs written in 1938-1939 involving dreams1, it is the only one that uses the absence of fire safety as a plot point. The lyrics of “Deep in a Dream” leave us in the dark as to what has happened between the two lovers. 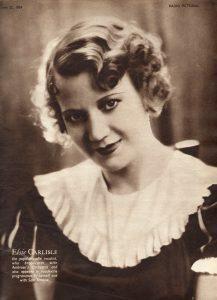 Elsie Carlisle’s interpretation is successful because she evokes the melancholy of the dark, smoky room, only to imbue her dream with a truly ecstatic spirit. She seems content to express alternating strong emotions, rather than to establish some sort of vocal character, as she often does. The anonymous studio band (led by director George Scott-Wood) complements Elsie’s singing nicely, contributing to this decidedly atmospheric piece. 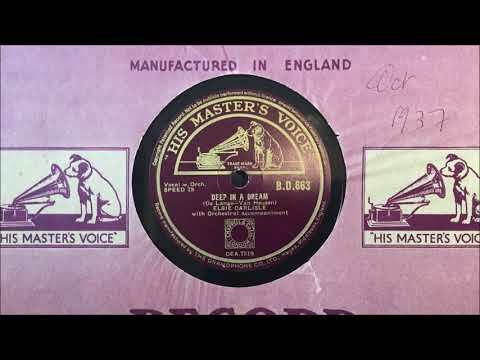 “Deep in a Dream” was recorded in America in late 1938 and early 1939 by Chick Webb and His Orchestra (v. Ella Fitzgerald), Bob Crosby and His Orchestra (v. Marion Mann), Cab Calloway and His Orchestra (v. Cab Calloway), Artie Shaw and His Orchestra (v. Helen Forrest), and Connie Boswell (accompanied by Woody Herman and His Orchestra). 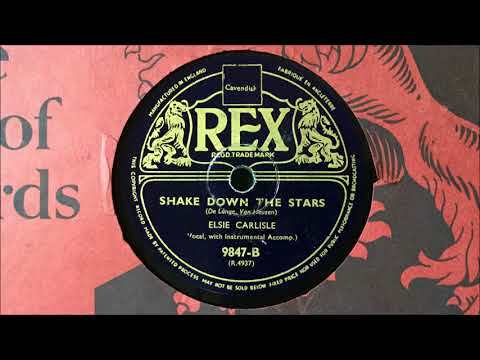 It was recorded in London in 1939 by Geraldo and His Orchestra (v. Al Bowlly), Carroll Gibbons and the Savoy Hotel Orpheans (v. Anne Lenner), Harry Roy and His Orchestra (v. Bill Currie), Lew Stone and His Band (v. Dorothy Alt), and Oscar Rabin and His Romany Band (v. Garry Gowan).